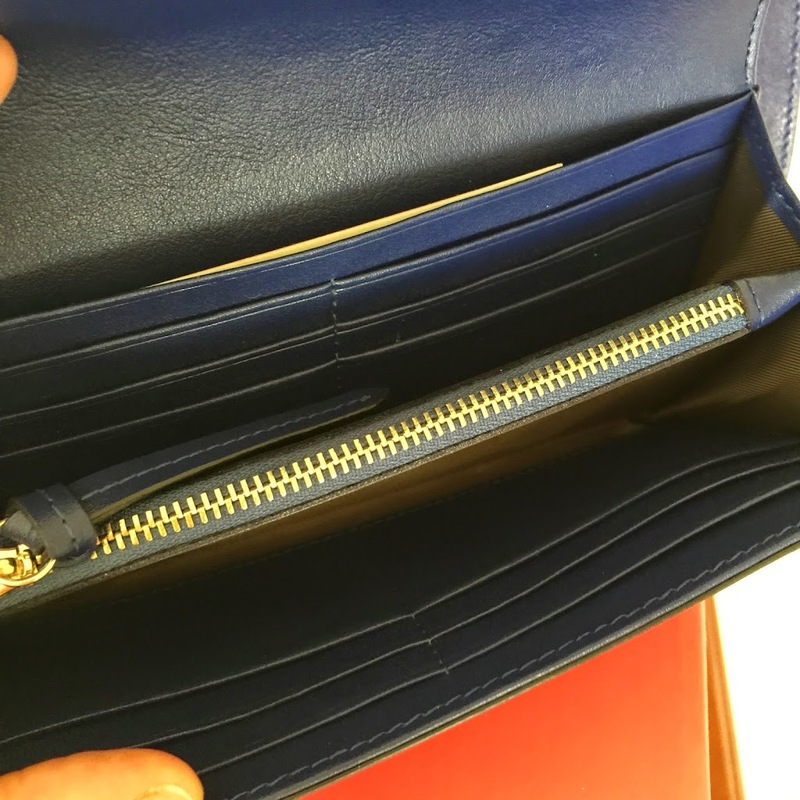 This is why, when I stumbled upon the gorgeous new brightly colored, high-quality wallet collection from Forett Handbags, I lost it! I wanted this wallet so bad because I knew that that is exactly what it would do for me! 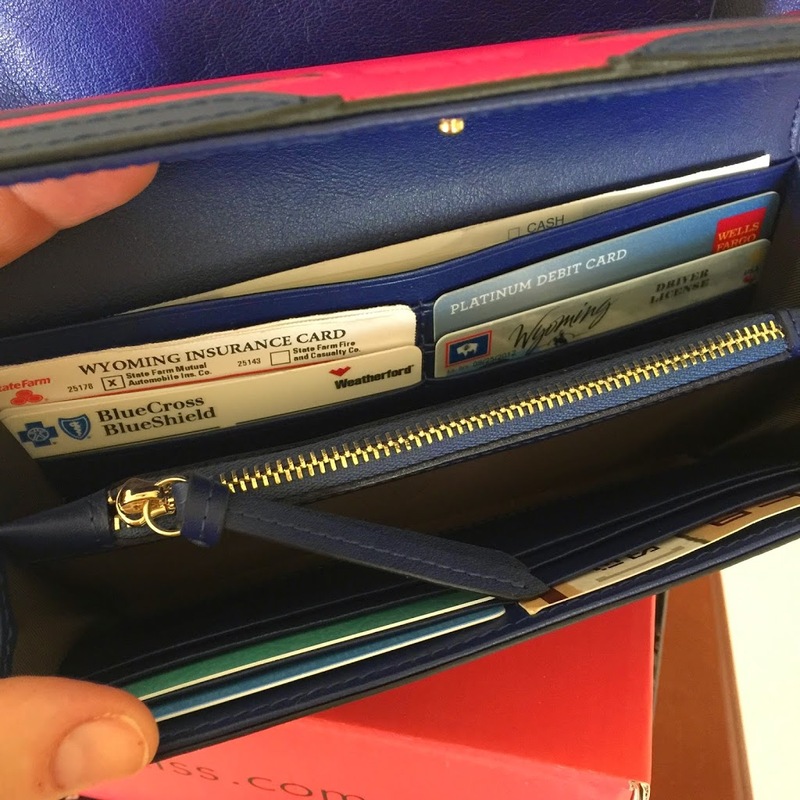 It would organize all of my cards, cash, ID, etc, but would also be the perfect glamorous clutch for a night out, thanks to its beautiful brightly colored two-tone shades in Moonlight blue and Hot Pink, with beautiful, luxurious leather, and elegant stitching details. I’m a huge organization nerd. I love to organize and I go crazy in those container stores for that very reason, so you can bet the organization of this wallet was super huge to me! When I opened it up, I loved seeing that It had plenty of space for all my cards! In fact, you can put up to 12 cards in this wallet! I also really love the middle zip pocket for storing cash and some spare change. This wallet is also big enough (yet still totally small enough to tote around in your evening dress as you can see here) I even had room for my checkbook. My massive iPhone 6 Plus also fits perfectly in here too, so as you can see, this really makes the most ideal clutch for a night out possible, or if you just like to keep it light during the day while you’re out running errands and you don’t want to tote around that heavy handbag! You can fit absolutely everything you need right in this gorgeous wallet! Isn’t this wallet gorgeous? It is absolutely high-quality and luxurious and people will know that when they see it! It is absolutely stunning and eye catching, especially in this gorgeous two-tone color. You can also pick up the Aline in Midnight blue and black, or midnight blue and purple too! 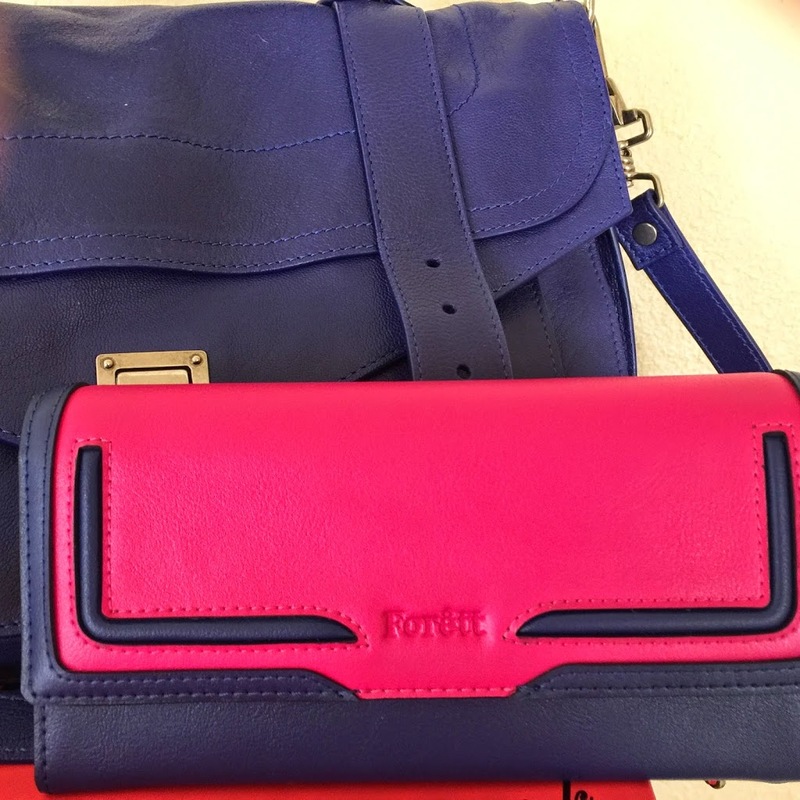 Right now, the Lovely Annie of Forett Handbags, is offering my fabulous readers a FABULOUS savings on wallets and handbags from Forett.com! SAVE 15% off your purchases from Forett.com, by using the coupon code: CB15 at checkout! What are you waiting for ladies? Shop Forett.com today! That is so cute and i love the pink color too.